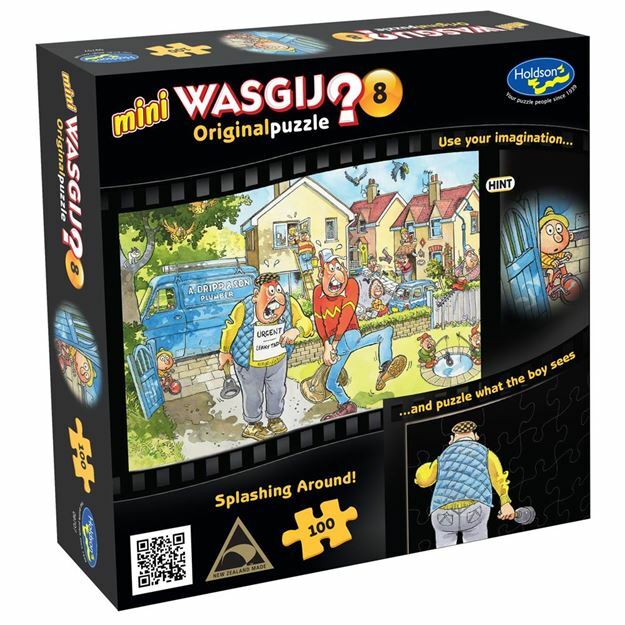 Two plumbers have been called to mend a leaking tap and are shocked at what they find in this Holdson Wasgij Mini 8 100pc puzzle. Imagine you are the little boy on his tricycle, why is he so surprised? The puzzle holds the answer! The picture on the box lid is not the puzzle; it is simply a clue to what the puzzle is! Age 6+ years. Made in New Zealand by Holdson. Approximate puzzle dimensions: 324mm x 229mm. Box size: 180mm x 180mm.